Mohamed Mohamed is a writer of poetry and community activist. Mohamed Mohamed has been writing poetry since the age of 12, entering a variety of children’s competitions. Combined with his love for performing arts, Mohamed began performing his poetry at a later age of 18 with a local youth group, inviting him to perform his first spoken word piece, Dear Mum. After a year of writing, Mohamed mustered up the courage to return to spoken word, a nervous 19 year old, performing at events and appearing in youth films. Mohamed continued writing and performing poetry at the University of Exeter. Whilst studying a BSc Exercise and Sports Sciences, Mohamed regularly organised and hosted poetry events on campus and was a member of the Exeter Creative Writing Society (2010-2012). 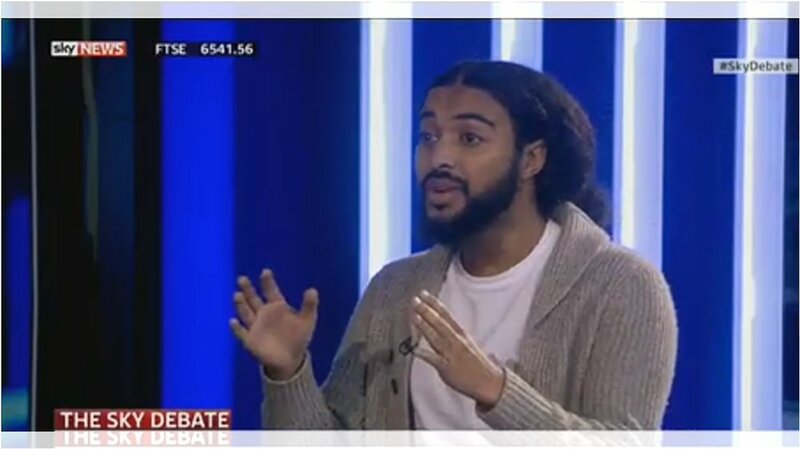 Mohamed’s poetry, work with young people has lead him to feature on a variety of media and news outlets such as Sky News, London Live TV, British Muslim TV, BBC London and BBC Radio Devon, discussing current affairs, issues surrounding [Muslim] Youth in London and young people’s engagement with politics. A 2014 Exeter University Student Leader of the Year, Mohamed is an Alumnus of the Young Muslim Leadership Programme (2013) at the Oxford Centre for Islamic Studies and a US Embassy of London delegate for Young Muslim Leaders Exchange Programme (2015). Mohamed was one of the Youth Leaders for the independent Citizens UK Commission on Islam, Participation & Public Life Youth Leadership Group. Mohamed is also co-founder of the online Black and Muslim in Britain series. Founder of the (un)Heard Words, a project focused on using poetry as a tool for interfaith engagement, Mohamed often explores the topic of faith, identity, politics, and masculinity in his poems. Engaged in youth work and politics, Mohamed's poem for climate change, 'I remember' was shortlisted for the Free Word’s 2015 The Time is Now Poetry Prize. A 2015 Apples and Snakes - The Writing Room poet, Mohamed has read and facilitated poetry workshops in many cities across the UK. He has also been commissioned by the Free Word Centre, The Only Way Is Ethics, Malaak Shabazz's (daughter of Malcolm X) UK Tour and the humanitarian DEC charity, Islamic Relief, performing at the London Science Museum.